Blehk, so today’s photo i was planning on capturing my credit card with a faded photo of trinity and or the bank blended in the background. If you wonder why, all my money is getting taken out of my account today to pay off holiday charges. Ughgh the little joys of life! But since i have no time and have to rush off to work (of course) i decided to make this the shot for today. Wuuhay! I took it while on the way back from another lunch date with Ciara and promised her I’d write a post to keep her bordom at bay. 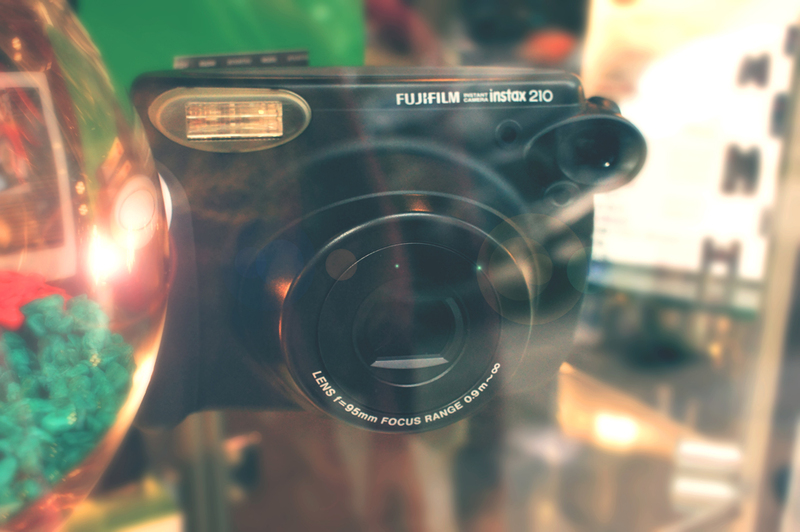 It seemed most appropriate since it’s a fujifilm camera that takes photos like a Polaroid. So to have a today’s pic in an an instance..